A series of upcoming posts on ENTITLEBlog seeks to foster emerging debates around egalitarian futures beyond accumulation and growth. In an intervention republished on this blog in October 2015, the political ecologist Giorgos Kallis provided important arguments for an emerging dialogue between degrowth and eco-socialism. 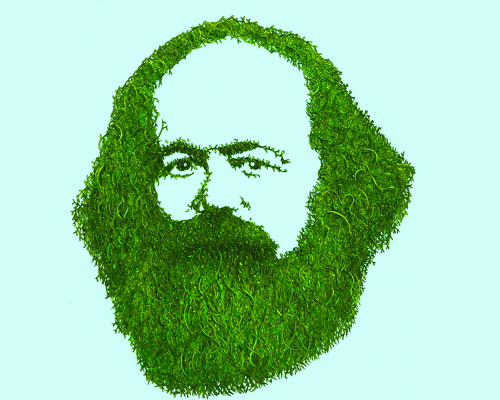 Commenting on a recent piece by John Bellamy Foster, and challenging what he saw as common assumptions on the (eco-Marxist) left, Kallis made two polemical claims. First, while capitalism is compelled to grow by its internal dynamics, there is no intrinsic ‘law’ that makes capitalism incompatible with a steady or declining economy. Second, and perhaps most significantly, overcoming capitalism is no guarantee that a more sustainable socio-ecological configuration will come about. In other words, Kallis argued (contra Foster) that socialism is not a sufficient condition for recomposing the ‘metabolic rift’ and rebalancing socio-ecological relations. Planning to ‘live with enough’ is something that the left needs to assume as a goal, rather than treat as an automatic result of the socialisation of production. Kallis’s arguments, like many of the provocations coming from degrowth sympathisers, move at times from problematic assumptions and betray what could be read as a somewhat superficial understanding of political economy and the state. Nevertheless, they are worth taking seriously, not only because the degrowth movement is fast expanding in academic as well as activist circles but also because, as in this case, the points raised are often valid and can stimulate important reflection, debate and convergence in the anti-capitalist left. With the purpose of fostering these debates, we have invited a series of responses to Kallis’s arguments from political ecologists and red-green intellectuals. These responses will be collected in a virtual symposium, forthcoming in Capitalism Nature Socialism. Starting from next week, a selection will be published on this blog as a series, by the title Ecology after Capitalism. The series will run through 28 February, with a piece published every Tuesday. Each of the invited contributors comments on Kallis’s arguments from a different perspective. Eleanor Finley draws on Murray Bookchin’s anarchist-inspired social ecology to provide a critique of the ‘scarcity’ and ‘limits’ narrative which informs the degrowth approach. From a Marxist feminist perspective, Stefania Barca reflects on the absence of labour and political subjectivity in degrowth theorisation, and insists instead on the importance of de-alienation and of developing an ‘ecological class consciousness’. In a two-part piece, agrarian studies scholar Leandro Vergara-Camus offers a critique of Kallis’s reasoning via a close reading of Marx’s texts. He argues that the focus should shift away from the a-historical category of ‘growth’ and towards the specificity of capital accumulation and the institutions that make it possible. Lastly, in a piece in Spanish, political ecologist Eduardo Gudynas discusses the contribution of Latin American critiques of development, and how they inform a (constructive) critique of both eco-socialism and degrowth. We hope that by publishing this series we will stimulate debate in political ecology on anti-capitalist thought and action in the context of the current global ecological crisis. As we aim for this to be an open dialogue and debate, we invite readers to send us short responses (max. 1000 words) for publication at entitleblog@gmail.com.